I know Slava made quite a few versions of this style watch. But what do you think of this one? It does indeed have a dome. So many of them do that I thought nothing of it. Hi All - new to the world of vintage Russian watches, but I love it already... dangerous! Please could you let me know what you think of these two? Edit - actually, everything looks wrong. The hands should be gold, not silver, and the numbers on the dial don't look to be the correct style either. Good luck! Last edited by bpmurray; August 20th, 2017 at 19:12. First one looks fine and is a nice example. Second one is a common re-dial and everything else mentioned by bpmurray. Every one of those printed komandirskie dials has the little upturn at the base end of the "hand painted" "2" in "12". Each of those dials if authentic should be unique. I have exactly the same NOS Raketa 24. Legit. Komandirskie look right to me as well, but I am not an expert so dont quote me on. jamesnorrisuk - the komandirskie also has a new dial. Note that the bottom of the number 2 at 12 o'clock has a raised end, compared to bpmurray's correct example which doesn't. Note also that the lume applied to the indices is very crisp, original lume was applied more erratically. 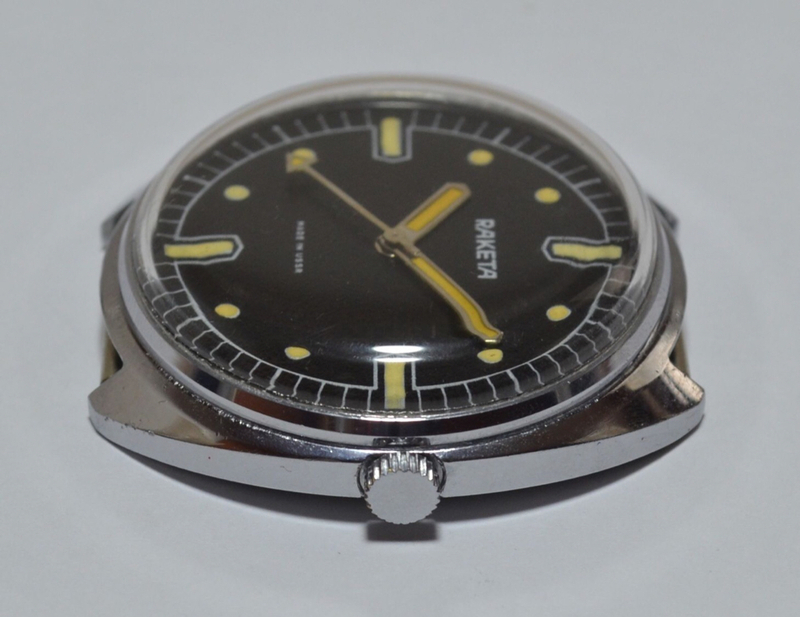 The other Vostok also has a wrong caseback - it's an export model (English lettering on dial and movement) and the case should normally have English lettering. It is also for the wrong movment, 2214 when the movement is a 2209. Another tip: In general, look very carefully at any watch coming out of the Ukraine. Certainly not all are frankens or fakes but unfortunately many are! I would pass on it. If I am not mistaken it's model 2209/401219, listed on page 36 of the 1977 Watch Catalog/Vol.1 with the Sekonda brand. It shouldn't have gilded hands but nickel plated ones, hours and minutes with lume and seconds of a different shape.